One of my favorite things about gardening with children is that those children who are consistently in trouble in school and daycare are garden superstars. The child who can’t sit still is a perfect candidate to pull the garden cart, carry water, or turn the soil. They are the adventuresome ones who teach the other children how to look for worms or point out the differences between spiders and daddy long legs. Mind you they are usually not the best candidates for planting tiny carrot seeds, journalling the progress of the garden, or weeding. Those are jobs best allotted to the quiet meticulous ones. It is easy to find opportunities to learn linguistics (journalling, mapping, scavenger/treasure hunts, naming plants and bugs, ), music and movement (listening to the sounds of nature, wind chimes, mimicking animal movements, acting out a seed sprouting and growing), interpersonal (working together on tasks), intrapersonal (sit spot time, observation, sketching, journalling), creative arts (collage, sketching, painting, flower arranging, vegetable prints, flower pressing…), logical/mathematical (planning, measuring, graphing, charting). In my experience those are the areas that are easy to find activities for inside however, naturalistic and bodily/kinesthetic while being a challenge indoors come naturally in the garden. Once we over-come our fears of “getting dirty”, “bugs” and different weather we find that childrens natural curiosity takes over. The garden is the perfect place to rediscover wonder and promote unstructured play. When we first started growing a community garden with our school age children we thought only about planting seeds and harvesting vegetables. We were quickly overwhelmed by weeding, watering and a slug infestation. There were many times that the drudgery of chores and the disappointment of desecrated crops threatened to end our gardening project. It wasn’t until we learned to focus on the process instead of the product and celebrate the emergent and diverse learning found in our community garden plot that we felt we had achieved success. Today we still have many set-backs, like the recent sudden death of our vermi-composting worms 🙁 but after six years we have many children who’ve passed through our program who know the basics of weeding, watering, germination, planting, harvesting, composting, and preserving. Considering that many of the ECE’s and CCA’s who also pass through don’t know that potatoes are a root vegetable, how to tell the difference between a dandelion and a nasturtium, and that earth worms are not-in fact- harmful I’d consider that a rousing success. The Nature Summit seeks to address many of these issues and provide educators with many practical ideas on how to create and access better playspaces, how to garden with children, and many other activities to promote outdoor play that suits the needs of all your children. We hope to see you there this September 14-16th, 2012. 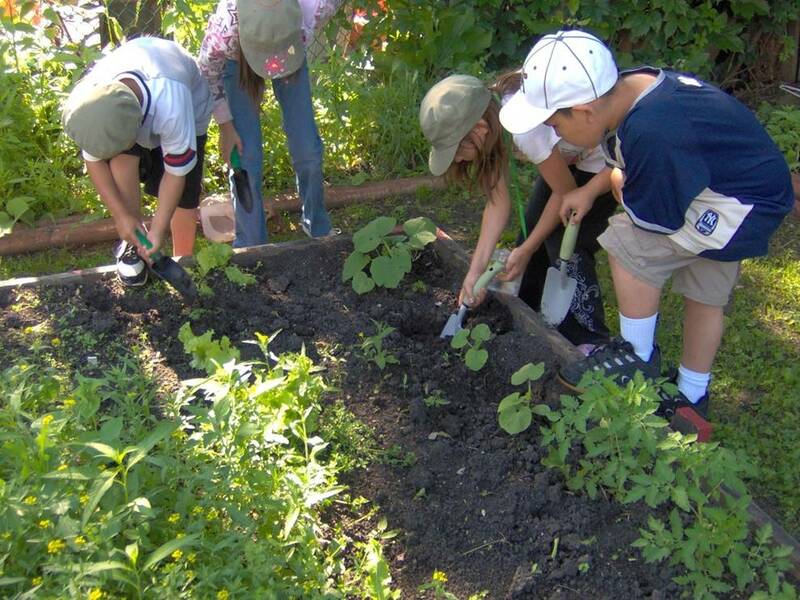 This entry was posted in Blog, Gardening With Children and tagged gardening with children, gardner, kids and nature, nature education, nature summit. Bookmark the permalink.